205 Live last night took place inside the Cajundome in Lafayette, LA. 3 matches took place last night, including a tag-team main event featuring the Cruiserweight Champion Cedric Alexander. At the end of the night, General Manager Drake Maverick announced a Cruiserweight Championship match for next week. Murphy will challenge for the Cruiserweight Championship at Super Show-Down. The Australian will likely have the large crowd inside Melbourne Cricket Grounds cheering for him that night. As for Gran Metalik, he came into this one having just defeated Murphy’s training partner, Tony Nese last week. Gran Metalik was looking good until Murphy kicked out of the Metalik Driver. He then came down awkwardly on his knee. Murphy took the opening and hit a knee to the face, followed by Murphy’s Law for the win. highlights of Hideo Itami beating Mustafa Ali last month were shown. The commentators speculated on if Ali came back from injury too soon. Before the match, Hideo Itami came out and said he’ll be watching this match closely. Ali won without much difficulty, hitting the 054 for the win. After the match, Ali dared Itami to get in the ring but his rival didn’t take him up on the opportunity. In the back, Noam Dar and Lio Rush cut promos on each other. They’ll face each other next week. The odds were even this week as Brian Kendrick is out with an injury and Alexander had Tozawa watching his back. 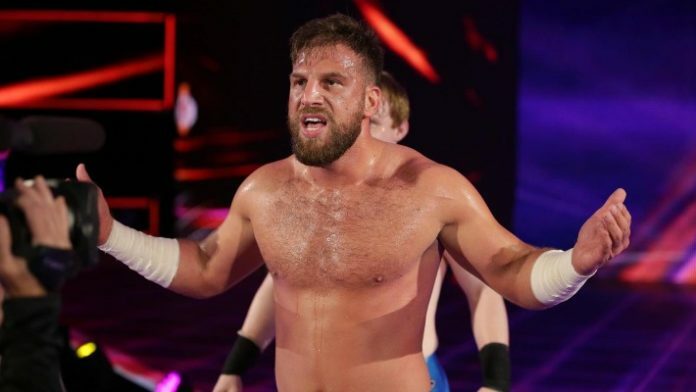 It would be Gallagher and Gulak who would pick up the victory this week, however. Gulak got Tozawa to tap in the middle of the ring to the Gu-Lock. In the back, Drake Maverick announced that next week Drew Gulak will face Cedric Alexander for the Cruiserweight Championship.